Reporter's Note: I don’t think one can trick or treat at the White House. Of course, I didn’t think I could post a letter every day for more than a year and half and not get a visit from the Secret Service either, so go figure. So I was both entertained, and - what’s the word? 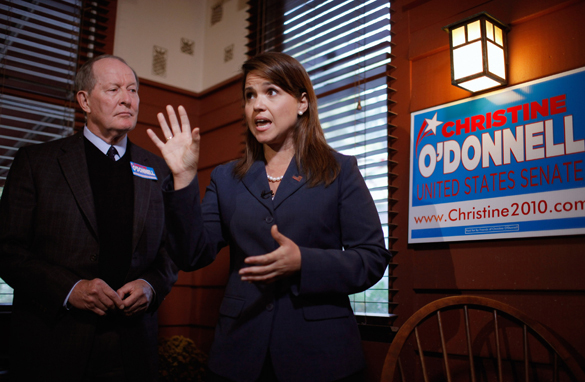 - intrigued by a report that Delaware Senate candidate Christine O’Donnell showed up on Halloween some years back dressed as a ladybug. As a practical matter I don’t even drink, and yet on any given day of the year there is a reasonable chance I’ll slap on a pirate hat and go for a stroll, or slip into a cape for a 7-11 run, or even hit the McDonald’s drive-through sporting Groucho glasses and a fake nose. But I fear in the political climate of today we’ll never see the end of such tales; and a lot of men and women will come to regret nights of less than circumspect behavior. I’m not going to say a word of judgment about that behavior. We have plenty of “social values” watchdogs on the left and the right which bark relentlessly over such issues. 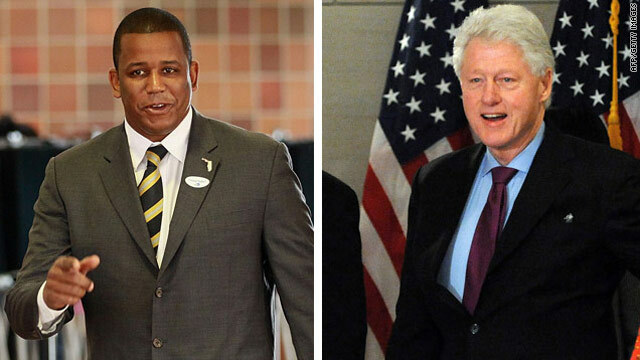 Rep. Kendrick Meek, left, is still running for the Senate in Florida, despite reports former President Clinton asked him to quit. Washington (CNN) - The point that many people seem to be missing in the Florida Senate saga is that this whole mess actually has very little to do with Rep. Kendrick Meek or the Sunshine State - it's all about a much broader fear among senior Democrats that they may be about to lose control of the chamber. There are some fascinating inside details I've been able to piece together about how and why this Meek story exploded into the public. In the words of one senior Democratic Party official, the Meek story came to a head because former President Bill Clinton "flew into a purple rage" about the Democratic candidate breaking a private pledge to him to get out of the Senate race and endorse independent candidate Charlie Crist. But a source close to Clinton said he "never saw anything close" to rage from the former president, who is at peace with how this wound up. "He always believed this was Meek's decision,' said the source close to Clinton. As for the Obama adminstiration's role in this, I'm told by senior Democratic officials that while White House aides were in the loop on the Clinton-Meek talks, they were not driving the conversation and were not lobbying Meek to go. I'm also told that senior officials deliberately kept President Obama out of the loop on these behind-the-scenes conversations because they did not want to get him personally tainted by the Meek story. That came no doubt in part because they didn't want it to blow up in his face like the botched attempt to get Joe Sestak out of the Democratic primary in the Pennsylvania Senate race so many months ago. (Clinton was the intermediary then, too). But all the jockeying and horse-trading is really just a sideshow. The real story is how bad the broader electoral map has gotten for Democrats heading into the final weekend of this midterm election: Top Democratic officials privately say they believe they are going to lose the House, but as they survey the country they are getting increasingly worried they will also lose the Senate. Reporter's Note: Reports of an attempted terror attack have Washington buzzing; that’s the subject of today’s letter to the White House. One day, we’re not going to catch them. I don’t think that’s a likelihood. I think it is a mathematical fact. Despite all we’ve done to carry out the so-called “war on terror” and despite all our successes (and there have been many), there are still an awful lot of people on the planet who would love to attack us if they could. And they’ll keep trying. And one day they will succeed. While I appreciate that, at times like this, any president must reassure the public and calm our fears, that is the message I hope to hear more when the immediate threat has passed –from you and many other political leaders. I think we, the people of America, need to be reminded that our country is vast, filled with more than 300 million people who, while united, also all have their own views. Our country is open; we benefit from a great and extraordinary 24-7 flow of ideas, goods, services, and people from all over the globe. Without that openness and freedom, we would not be the success story that we are - economically, politically, or culturally. And some day, someone is going to be able to circumvent all of our safeguards and hurt us. Maybe a little. Maybe a lot. It will be a terrible day. But what happens immediately afterward will determine just how terrible. (CNN) – Outspoken anti-bullying advocate and TV talk show host Dr. Phil is far from satisfied with the apology offered Thursday by an embattled local Arkansas school district official. After his postings sparked national attention, McCance apologized for his comments Thursday in an exclusive interview on Anderson Cooper 360°. Tonight on 360°, exclusive new information about the two packages at the center of today's terror scare. They were packing a truly devastating punch. Plus, tonight's other headlines. Evening Buzz: More Explosive Devices Shipped? Authorities say this was the device found in Dubai that was to be shipped on a FedEx flight to the U.S.
We're following new developments on the suspicious packages found overseas that were bound for Jewish places of worship in Chicago. Pres. Obama called the discovery "a credible threat against our country." 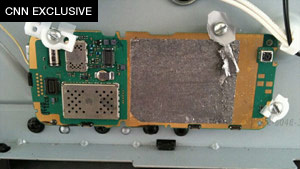 The devices "apparently contain explosive material," he added during an afternoon news conference at the White House. Tonight the credible threat is possibly still ongoing. There are reports of at least 13 other packages that could have been sent. Due to that possibility authorities have checked cargo planes and delivery trucks in several cites, including Philadelphia and Newark, New Jersey. As for the two devices found, a U.S. official tells CNN they likely contained the explosive compound PETN. That's what the accused "underwear bomber", Umar Farouk AbdulMutallab, allegedly used aboard a flight as it approached Detroit, Michigan last Christmas. 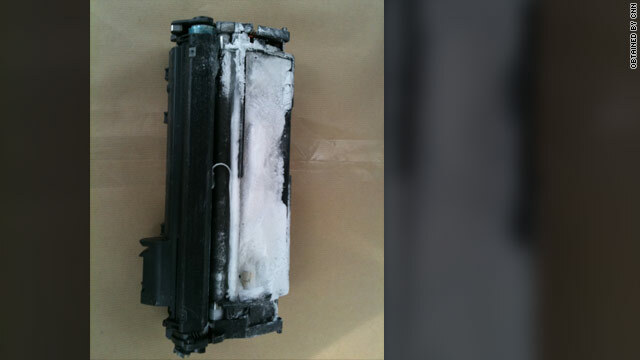 The two devices found overseas in this case were sent from Yemen. One was found in Dubai, in the United Arab Emirates, before it was put on a FedEx flight to the U.S. The other was found at an airport in Great Britain. We'll give you a timeline of how this plot was foiled and talk about who may be responsible tonight on 360°. We'll also talk with Dr. Phil McGraw about the anti-gay rant on Facebook by Clint McCance. Does Dr. Phil buy his apology? McCance said he's resigning from the Midlands School Board. Dr. Phil has some tough words for McCance. (CNN) - Suspicious packages found in at least two locations abroad that were bound for Jewish organizations in the United States "apparently contain explosive material," President Barack Obama said Friday, calling the discovery "a credible threat against our country." Obama confirmed that the packages originated in Yemen, the stronghold of al Qaeda in the Arabian Peninsula. (CNN) - U.S. officials say that al Qaeda in the Arabian Peninsula, a fairly new arm of the umbrella terrorist organization, is behind an apparent plot to send explosive devices to U.S. destinations via cargo planes. "If anything, this just demonstrates to us and, I think to the Yemenis as well, that we need to redouble our efforts so that we're able to destroy al Qaeda, and we will." Brennan pointed to the botched attempt last Christmas to blow up a Northwest Airlines passenger jet en route from Amsterdam, Netherlands, to Detroit, Michigan, on Christmas Day. U.S. and Yemeni officials have linked the attempt by man who tried to ignite explosives in his underwear to al Qaeda in the Arabian Peninsula. Formed in 2009, al Qaeda in the Arabian Peninsula is a regional terrorist group known for targeting government and Western interests in Yemen and Saudi Arabia. Yemeni forces, with support from their U.S. allies, have stepped up military and political pressure on the group in recent weeks, despite continued threats from its leader. A key figure in the group is Yemeni-American militant cleric Anwar al-Awlaki, whom U.S. authorities have linked to Fort Hood shooting suspect Maj. Nidal Hasan as well as the man accused in the Christmas Day bomb attempt. Brennan would not specifically name al-Awlaki as a suspect.